"All children grow up. All except one." 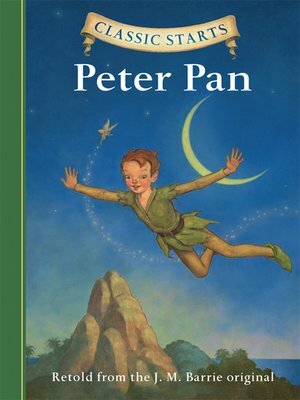 That special child is Peter Pan, and since making his debut on the stage in 1904, this eternal youth has carried boys and girls off to magical, marvelous Neverland. It's a trip that all kids want to make, and with this easy-to-read version of the classic, everyone can fly "second to the right, and straight on till morning" with Peter. Along with Wendy, John, and Michael Darling, they’ll meet the fairy Tinkerbell, the Lost Boys, and the menacing Captain Hook.